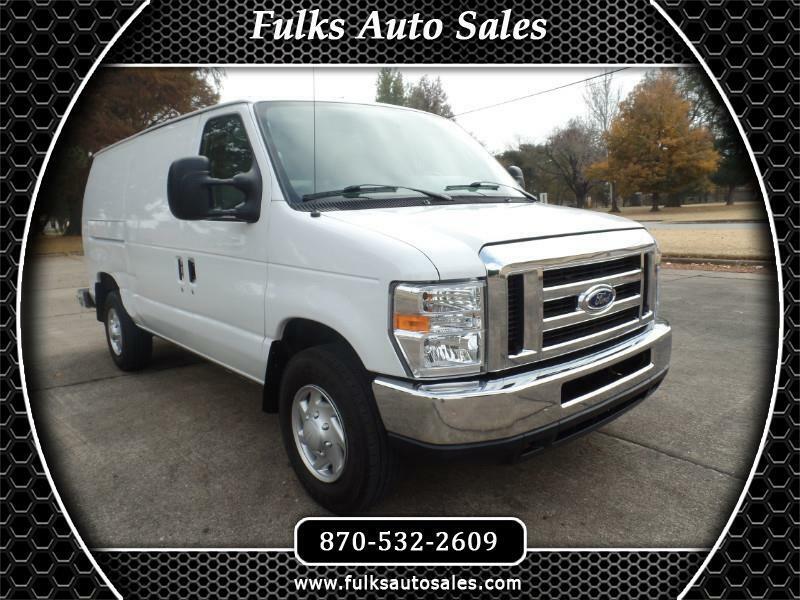 One-Owner 2014 Ford E-250 Cargo van with 98k miles, Off-Lease unit set up with air compressor, hose reel, electric start honda engine, and portable crain rated to lift 2000 pounds mounted in the rear bumper, electric remote operated, tool shelves inside as well. this van is clean and well-kept, new tires and fresh oil change, runs, drives, shifts like it should and everything works. Here at Fulks Auto Sales we try to create a no hassle atmosphere, try to be honest and upfront so if you have any question's don't hesitate to call and inquire before making the drive. Absolutely no extra fee's or hidden charges when you buy a vehicle from us the price we have marked is the price you pay, we do our best to make sure these vehicles are all serviced, tires are good and safe if not new, brakes and steering are in safe, cleaned inside and out, and no history of accidents. Come out today and take a look or feel free to contact Justin at 1-888-573-1937 with any further questions and to make sure you have the most up to date pricing and information.